In May of 2017, Anton Buri and Rodrigo Bustamante traveled to Havana to hold La Liga en Cuba’s first official event: La Copa Artecorte. 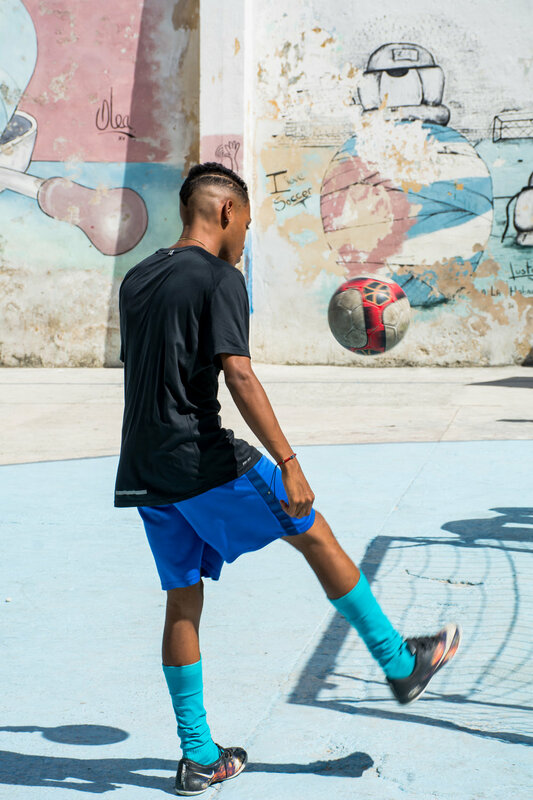 This tournament, hosted alongside Artecorte, is set to become an annual tradition that celebrates not only soccer, but also the partnership between La Liga en Cuba and Artecorte, and all this community has done to make our organization possible. This year’s tournament included eight teams from all over Havana, all of which are coached by volunteer coaches who have, on their own, dedicated time to helping youth in their communities. This year’s tournament took place over the course of four days, with six games being played on the each of the first two days, and two games being played on each of the last two. The championship game proved to be the climax of the event as it included a second half comeback and a last minute goal to win the game. The tournament opened with a ceremony, and was concluded with a similar ceremony along with the distribution of participation certificates, medals, trophies, and jerseys for the tournament’s top scorer and top performing goalkeeper. The trip in May was the first time I had returned to Cuba since leaving in June of 2016, after living there for nine months. For me, it was a reunion with a country and an organization that had taken me in during a time of adventure, filled me with inspiration, and taught me the value of opportunity. Now, this was my return to Cuba in pursuit of opportunity: a project of my own that would allow me to continue my work with, and give back to the country and people that gave so much to me. I was welcomed back to Cuba with an overwhelming amount of excitement and love. It was great to see people I’d spent so much time with, and to see the kids with whom I’d worked so closely with. But more than the excitement and joy of seeing these incredible people again, was discovering the amount of support for what I had returned to Cuba to do. This trip made me truly understand that for an organization to exist, it requires the care and effort of many, of all of those involved. To return to Cuba and feel exactly this, was incredibly encouraging. There was a sense of excitement and confidence for the project that I had not anticipated. From the way people I had never met before were willing to help out - officiating, keeping score, organizing equipment – to the simple fact that teams and players showed up to and gave their all at an event hosted by an organization they knew nothing about. I was aware I had support in Cuba, but I didn’t realize the extent of it. For these reasons, the most important takeaway from this tournament was not its proof of concept – that indeed there is a demand for organized competition within the soccer community. Nor was it the privilege of being able to see an idea come to life, of having successfully planned, coordinated, and carried out an event in Cuba. For me, it was reuniting with the people that had supported me before, and meeting the people who will be supporting me going forward. 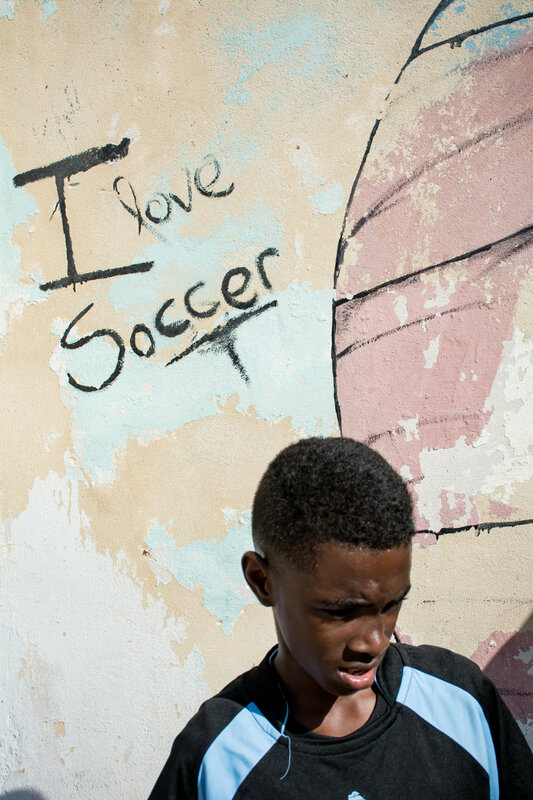 I was reminded of how just much excitement there is around soccer in Cuba, and of how much potential the sport has to grow there. It’s during times like these, full of passion and of excitement, that people are able to truly come together, to connect and to inspire change. It was the effort of an entire community that made this first event possible, and that is what’s going to make this entire project succeed.